Whether you want to play the latest video games on your PC or watch high FPS videos you got with 4K Video Downloader , the quality of your experience depends on your graphics card. It’s a vital organ of a computer that not only improves visuals, but also relieves a processor from heavy graphics-related tasks, so the importance of picking a decent fit can’t be overstated. 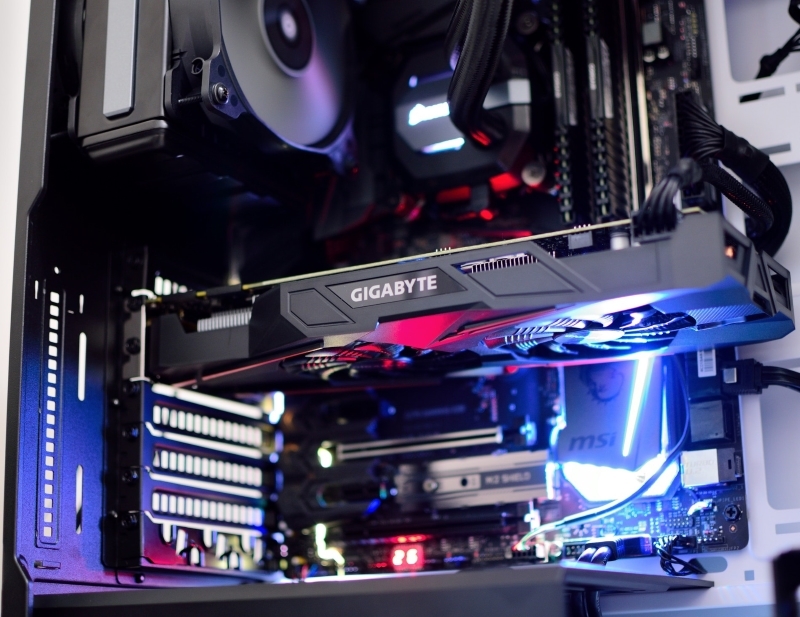 Having to build a new gaming computer recently, I’ve gone through numerous GPUs testing and comparison articles, determining the best graphics cards available in 2019. I’ve piled them up and broken down to five categories for various price ranges suiting different budgets. The best of the cheapest! If you don’t have more than $90 to spend on a video card, Nvidia’s GT 1030 is your fit. Even though RX 550 is a technically superior GPU, both cards provide solid experience running at low 1080p/1440p such games as Doom (2016), The Elder Scrolls V: Skyrim, The Witcher 3: Wild Hunt, Rise of the Tomb Raider or older titles like Rocket League on 1080p with High settings. Both are the best options within the price range and smoothly running Rainbow Six: Siege, Divinity Original Sin 2, PlayerUnknown's Battlegrounds and Fortnite at 1080p with High and in some cases Ultra Settings. However, RX 570 is superior in comparison, providing significantly better texture details and faster effective speed. Their earlier counterparts, GTX 1050 and RX 560, are good entry level GPUs that sell at about $120 each. GTX 1060 is consistent in performance and runs pretty much everything at Ultra 1080p and 1440p. RX 580, on the other hand, is newer, cheaper by about $60 and has better value for the money, though very similar to GTX in power efficiency and speed. Both grant beautiful run of Rainbow Six: Siege, Fortnite, Far Cry 5, Destiny 2, Vermintide 2 at Ultra 1080p 60 fps. These graphics cards went through Ultra 1440p gaming tests toe to toe, only 1070 Ti not giving perfect 60 fps all the time. If you are looking for the best GPU for Full HD (1080p) gaming, RX Vega 56 is the best one for the task. Incredible experience playing Hellblade, Final Fantasy XV, Rainbow Six: Siege and PlayerUnknown's Battlegrounds at Ultra 1080p/1440p 60 fps guaranteed! With as much as $500 in price difference, both of these GPUs are powered for top-notch visual experience. RTX 2080 Ti’s performance benchmarks are better in comparison, but you may wonder, is this card that better overall? Well, it depends on who’s asking. RTX 2080 Ti is loaded with DLSS (deep learning super-sampling) for frame-rates boost and real-time ray tracing (rendering more realistic images), but no title is supporting these yet. 4K gamers, game developers and other professional users will find great use in this card, especially as time goes by and new titles supporting the features are released, but for now from regular users perspective, RTX 2080 is way overpriced despite providing excellent 4K experience and having more memory.